The study of Italian constitutional law in the Anglophone world has never been really fashionable. This is not the place to discuss the reasons why this has been the case, but suffice here to note that to the marginal condition of Italian constitutional law in comparative studies does not correspond an inactive or subaltern scholarship. An opportunity for igniting interest for the Italian constitutional debate might be provided by the forthcoming referendum (possibly in November 2016) on a constitutional reform proposed by the government. On paper, this is a significant reform of the second part of the Italian constitution (concerning the organisation of powers) and it has been presented as an essential and much needed constitutional change. The proposed reform covers two main areas: reform of the parliamentary bicameral system and restructuring of the centre-periphery relations with the aim of amending the failures of a previous change toward decentralisation (in 2001). It also contains other important but less systematic provisions, for example, on the regulation of referendums or citizens’ legislative initiative, or on the abolition of unnecessary agencies. An introduction to the main points of the reform with a remarkable sensitivity for the political context has already been offered, on this blog, by Paul Blokker. In light of this and given the width and the scope of the reform, I will focus on one of its core aims, possibly the most impactful. The core of the project concerns the Senate because it assumes, as a starting point, that the current system of symmetrical bicameralism is dysfunctional. Clearly, this is a valid point of departure. As it stands, the Italian parliament is comprised of two elected chambers with almost identical powers in the legislative process. Also, both chambers can vote the confidence to the government and they both participate in the definition of the ordinary political trajectory (so called indirizzo politico). The proposed reform eliminates the relation of confidence between the Senate and the government. As a consequence, the nature of the higher chamber is transformed. The senators are to be reduced to 100 in number (rather than the current 315), and will not anymore be elected directly, but nominated on the basis of membership of the regional councils, the mayorship of a number of major municipalities, or selected by the President of the Republic. With a few (quite important) exceptions, the Senate will not be involved in the legislative process any longer. In order to understand the big picture, one has to read these provisions together with the new electoral law (known as Italicum), approved by the same government in May 2015 when the draft of the constitutional reform was already on the table. The law, approved also in response to the declaration of unconstitutionality of the previous electoral law by the Constitutional Court, promotes the formation of absolute majorities in national elections, by means of an electoral premium in case a political party (and note: not a coalition) obtains more than 40% of the votes in the first round, or, in case of a second ballot, the sheer simple majority of votes. It goes without saying that the electoral law applies only to the lower chamber and it nudges the political spectrum towards a two-party system. If read together with the new electoral law, it is clear that the proposed constitutional change (and in particular the reform of the bicameral system) mainly addresses the organisation of political representation at the national level with the aim of ensuring more stability to the government and to make sure that executive power can be deployed in an effective way. In a nutshell, the spirit of the reform is less representativity in exchange of more stability and perhaps political accountability. The space for political representation shrinks and the distance between society and the political system grows because the senators are appointed by regional institutions and the lower chamber is elected through a drastically majoritarian electoral system which ensures that at the end of the election day it will be clear who has won. The strengthening of executive power looks even more striking and possibly untimely in the context of an enhanced Eurozone governance based on a new form of intergovernmentalism. Yet, sending a message to the European elites and their agencies might actually have been one of the main reasons behind the constitutional project. In the EU jargon, the whole project might be closer to a ‘structural reform’. The impoverishment of political representation is not limited to the output of the project because it is already visible in its input. The government drafted the text of the constitutional reform and linked its approval to the stability of the executive itself, creating a political deficit in a double sense. First, it is uncommon that the executive power takes up the formulation of a constitutional reform, or at least, this is the case in the Italian constitutional tradition. Responsibility for constitutional reform has usually been deemed to be the province of parliament because an initiative from the executive would carry with it the imprinting of the political majority supporting the government. Second, a constitutional reform of this type was not a key topic of discussion during the last campaign for parliamentary election (2013). No social or political movement has been able to impose a theme on the agenda for constitutional reform. Therefore, the drafting of the reform has been the product of a governmental top-down logic, closer in spirit to constitutional engineering than constitutional transformation. A valuable and lasting lesson of one of the main threads in Italian political history teaches that a constitutional order has to bear on robust political and social forces, often in conflict between themselves. In the project of the Italian government there is nothing to address this essential aspect. Of course, a vibrant and representative political system does not depend exclusively on institutions. Yet, the risk, here, is that to the reduction of the space for political representation will correspond the empowerment of forces inimical to democratic government. Not every future modern prince might necessarily be a charming one. For a sign of the richness of the debate see the opinions of some influential Italian constitutional lawyers on the constitutional reform in ‘Dieci domande sulla riforma costituzionale’, in Quaderni Costituzionali, XXXVI, 2016, pp. 219-356. See P. Blokker, ‘“Vote Yes for a Safe Italy” or “Vote No to Defend the Constitution”’, in Verfassung Blog, 27 July 2016 (http://verfassungsblog.de/italy-constitution-referendum-renzi-blokker/). For a first attempt at understanding the nature of this new Senate see N. Lupo, ‘La ancora incerta natura del nuovo Senato: prevarrà il cleavage politico, territoriale o istituzionale?’, in Federalismi.it, 4, 2016, pp. 2-19. See art. 57 as included in the Italian government’s project. Interestingly, the Senate will still be involved in the procedure for constitutional amendments. See art. 70 as included in the reform project. Cf the conception of political representation elaborated in N. Urbinati, Representative Democracy, University of Chicago Press, Chicago, 2006. The idea of a new intergovernmentalism has been developed in the innovative work by U. Puetter, The European Council & the Council, Oxford University Press, Oxford, 2014. Cf, for a reconstruction in the context of Italian constitutional history, G. Azzariti, Contro il revisionismo costituzionale, Laterza, Roma-Bari, 2016, pp. 171-255. The underlying assumption is that constitutional law is not overlapping with the political platform of the government in power. This leitmotif cuts across the history of Italian political thought, from Machiavelli’s Prince to the political realists (Gaetano Mosca) and Gramsci’s modern prince. See, recently, R. Esposito, Living Thought, Stanford University Press, 2012. 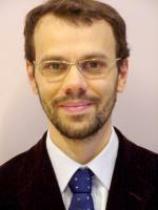 SUGGESTED CITATION Goldoni, Marco: Italian Constitutional Referendum: Voting for Structural Reform or Constitutional Transformation?, VerfBlog, 2016/8/11, https://verfassungsblog.de/italian-constitutional-referendum-voting-goldoni/, DOI: http://dx.doi.org/10.17176/20160811-181157.